Our three boys are Sebastien, Nikolai (Niko), and Torin (Tor/Tori). 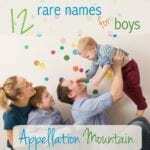 I am looking for a unique (definitely not top 500, preferably not even top 1000) but not too “out there” name for our fourth son. The name should have good nickname potential. 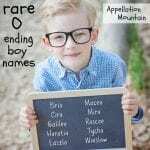 I’m not too worried about it “going with” my other boys’ names. Please read on for my response, and share your thoughtful suggestions in the comments. Congratulations on your fourth son! When I look at your list, I see this: as you’ve become a more experienced parent, you’ve realized that it’s tough to find a name that really stands out. Sebastien and Nikolai are a little bit different, but only a little. Torin comes closer to a stand-out choice. 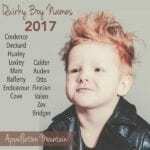 Lots of names on your list lean more popular than Torin – Lachlan, Flynn, Callum, Callen. Others might be experienced as nearly unique, like Aros. But there’s something else that strikes me about Sebastien, Nikolai, and Torin. They sound pan-European. Not classic, exactly, but not novel, either. I can imagine finding any of those names in the pages of history books. They’re a little bit romantic, and while you haven’t deliberately tried to match, I think they do sound like brothers. Which makes me wonder this: Truman and Thayer sound like very different names. They’re a little more buttoned-down, maybe even more American. (I don’t say that as a bad thing at all. Just a different image.) And while nothing says you can’t choose a name with a different style profile, maybe that’s why none of them feel quite right? Because they’re great names … but maybe not great names for your family. Ayrton, Emeric, Emrys, and Cassian seem like the best fits. I’m particularly drawn to Cassian for you. While it’s very uncommon, it’s appeared in a handful of high-profile uses. It’s a minor character (Astrid’s son) in Crazy Rich Asians. It’s also Diego Luna’s hero in Rogue One: A Star Wars Story. While that’s resulted in a big bump in use, Cassian remains well outside the current Top 1000. I think it’s unusual, but not too out-there. And it shortens to Cass, Caz, or Cash. Caius – An ancient name with cool nickname Cai. Or Kai? It’s also sometimes spelled Kai. Dashiell – Literary and handsome, with zippy nickname Dash. Eben – Charles Dickens made Ebenezer famous, but I think Eben might be the more appealing option. Evander – Sebastien and Nikolai are three syllables, so maybe a longer name would appeal? Plus, Evander has a different ending sound than Sebastien/Torin and Nikolai, so it mixes things up. 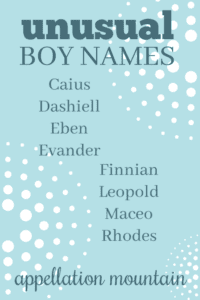 Finnian – Flynn made me think of other, unexpected Finn names, like Finnian. Leopold – Maybe this is too out-there. Except Leo names are having a moment. Maceo – Would you mind another o-ending name? Because this rare twist on Matteo could wear nicely. Rhodes – Thinking about ending sounds that you haven’t yet used, are -s ending names an option? I love the idea of Rhodes with Sebastien, Nikolai, and Torin. What would you name a brother for Sebastien, Nikolai, and Torin? My kiddo is named Noble, which seems like it could be a fit for her. Oh and what about Ilan? My friend’s son is named that. Or Cesare, that’s my youngest dog but it’s definitely European. Stellan…if you don’t mind using S again. I don’t like Finnian as it sounds too much like Fenian…and I’m assuming he won’t be an Irish nationalist. What about Finnegan? Macaulay? Leonidas? I know a Henrik in real life—great name! 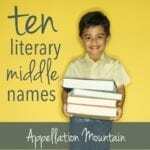 I love so many of the suggestions, esp Leopold (there is one in my son’s class, and I kind of love it!). I know it has been suggested before, but Matteo/Matthias can give the nn’s Matti or, as I saw earlier today, Mats. In France, Aymeric is a name I see now and again, and close to Emeric. I wanted to add that I thought a lot about the name Finbarr for Lachlan, so maybe that’s of interest too. I also immediately liked Cassian most of all from their current list. Emeric is close behind. I really like the suggestion of Leopold. It’s one of my personal favorites, but it also just sounds great with Sebastien, Nikolai, and Torin (and I think it has that same vibe Abby described, a sort of pan-European feel). I’d also suggest Barnaby. It was the first name not mentioned in the post that popped into my mind – I love it. As a mother of both a Callum and a Lachlan, I’m happy to see both on your list. I love Sebastian and Niko and a friend of mine has a Tor, so I feel like we’re already friends. If discussing the merits of Callum vs Lachlan, I will say that it was a bit of a shock to go from introducing a Callum—a name which really frequently makes people smile and rarely struggle with pronunciation—to a Lachlan—which causes a lot more head scratching in the US. So if choosing between those names, I’d vote Callum. But I think I like Cian even better for you—no offense to my own sons! Cian seems to sit in a sweet spot of unexpected but zippy, with similar sounds and feel to the names your other boys. I also like the suggestion of Rhodes. Good luck and great naming! What about Leander? Sounds great with the other names. You could use Leo or Lenny as nicknames. I love Cassian. I would like to suggest Wolfgang. Its such a neat name and is outside the top 1000, and would fit in with your sibset so nicely. I think Abby’s suggestion of Evander is pretty perfect! I do love Cassian, though. 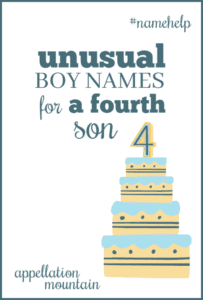 Congratulations on boy #4! . I have 6 boys and our youngest is Emeric. So that’s my favorite choice. Also, the suggestion of Finnian. Which happens to be my Emeric’s middle name. Darius. Lorenz/Lorenzo. Jedidiah. Timoteo. Alexei. Judah. Paulius. Julian. Everett. Emory. Edison. Olivier. Linus. Benedict. Ezequiel. My favorite of your options is Emeric. That seems like a really good fit, as do the suggestions of Dashiell and Casimir. I would add Desmond, Malachy, Tristan, and Fergus. You have some lovely names already. Hopefully something will rise to the top as you ponder. Having a bunch of them on post-its on the mirror that you can move around to rank them might help. I love the suggestion of Caius! I kind of love Aros for you. I’ve never seen it before and it definitely has that pan-Euro masculine feel for me. When Sebastien was little we tried calling him Bass . At some point when he was in preschool he told me “ that’s a type of fish, I don’t like that name” , lol. We also tried Bash and Sebi , neither of which stuck for various reasons . I call him Booboo ( can’t remember where that one came from) but only at home.